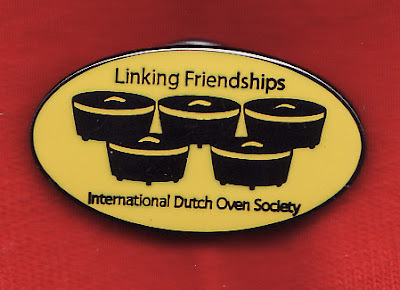 We just received our 2011 International Dutch Oven Society pin. That sounds like a good excuse to break out the black iron. Call me five minutes before dinner is ready and I'll be right over!